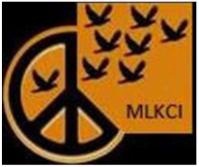 Martin Luther King County Institute (MLKCI) is recruiting and training “Spanish Speaking” persons interested in working with the enhancement of family relations. MLKCI has secured scholarships for persons over 18 years of age that will work with Martin Luther King County Institute and a coalition of organizations that include Seattle Parks & Recreation, Central Area Drug Free Coalition and Seattle University in conducting Strengthening Family Program (SFP) engagement in English and Spanish. The upcoming training for Spanish Speaking Facilitators is schedule for February 27th through March 1st, 2013. Click here for more information.